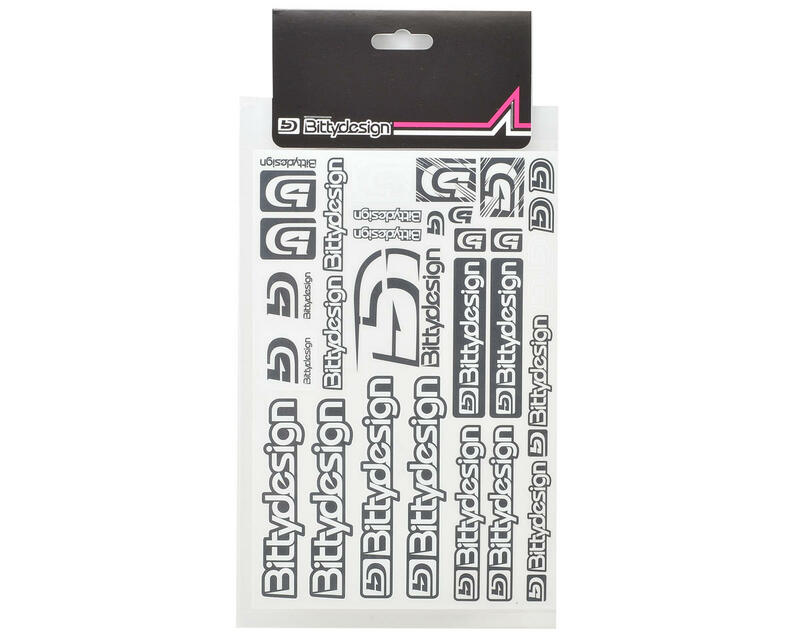 Bittydesign On-Road Fuel Proof Decal Sheet. 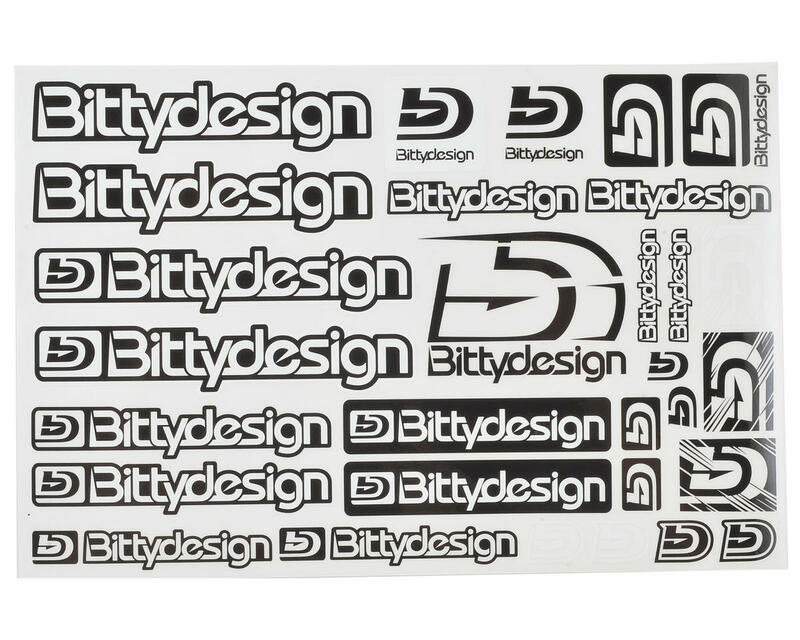 This is the same 21x14cm decal sheet that is included with Bittydesign on road bodies. The decals are fuel proof and include a variety of Bittydesign logos.